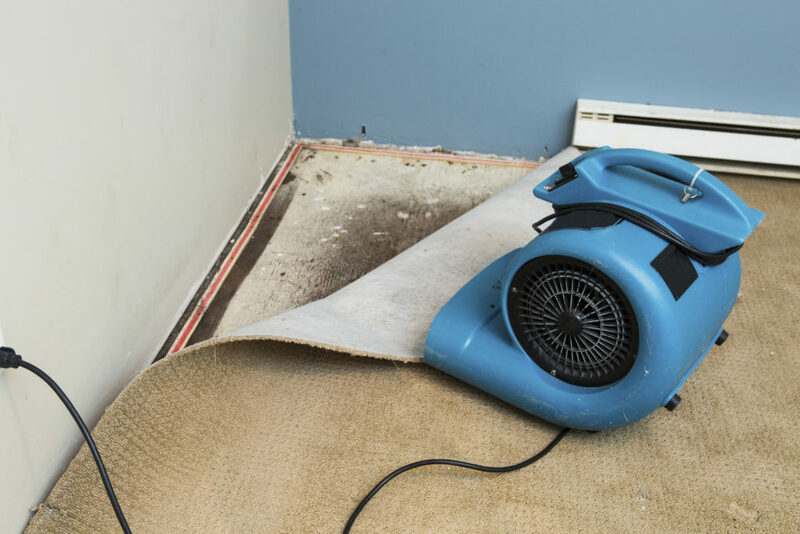 When a carpet is water damaged, it is crucial to act as quickly as possible to prevent further damage to property and to avoid creating a health hazard. Mold grows out of control very quickly. If you are returning to a flooded home after 48-72 hours have passed, it is important to wear a respirator to prevent mold spores from getting into your lungs. First, remove any water that you can. Then, you must pull up you carpet, or any other flooring, to dry your sub floor. Open windows and use fans to get air flow. It is necessary to completely clean the carpet to prevent mildew and odors. While bleach is considered a good disinfectant, it can damage some carpets beyond repair. Not all carpet can or should be saved after being water damaged. The severity of the situation depends upon where the water came from. A busted pipe causes less contamination than a busted dishwasher or toilet. Flood water coming in from outside the home is always particularly dangerous due to high levels of bacteria. 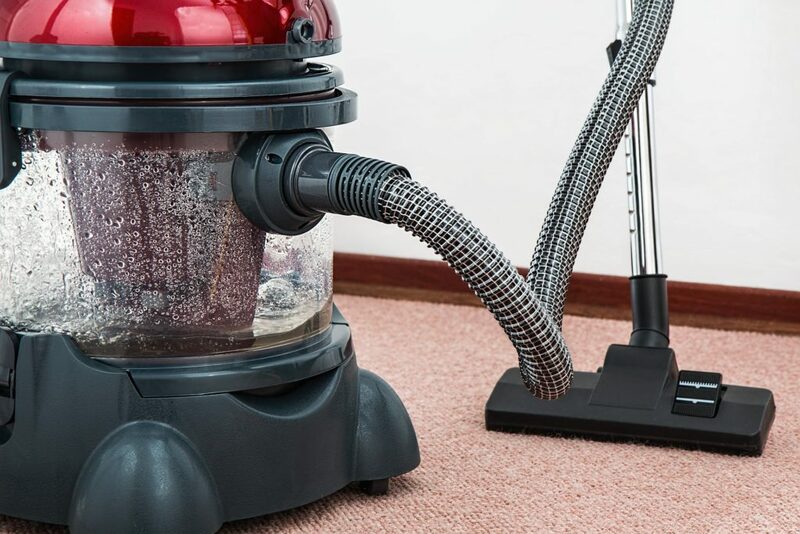 If your carpet has been damaged by flood water that may have been contaminated with sewage, you must discard and replace the carpet for health and safety reasons unless it can be professionally disinfected. Carpet that was completely submerged for more than 24 hours should also be considered contaminated even if the water was from a clean source. The padding under the carpet cannot be easily cleaned and will need to be replaced. Why should you hire a professional for carpet restoration? Finding and eliminating hidden moisture requires special equipment. Because it takes only 48 hours for mold to grow and become problematic, carpets need to be thoroughly dried very quickly. Preventing mold growth is crucial to you and your families health. Breathing in mold spores is dangerous. Without professional evaluation, you might have mold that you can’t see. Drying the water damaged floor with professional speed can prevent costly damage to your subfloor. Otherwise, you could be waiting months for your subfloor to dry completely to put carpet back down. Disinfecting the carpet with professional products and equipment ensures that bacterial and fungal contamination is completely eliminated. Time is critical when it comes to carpet restoration so contact a professional immediately for the greatest chance of success. A quality rug is an asset that can last a lifetime and breathe life into your home. 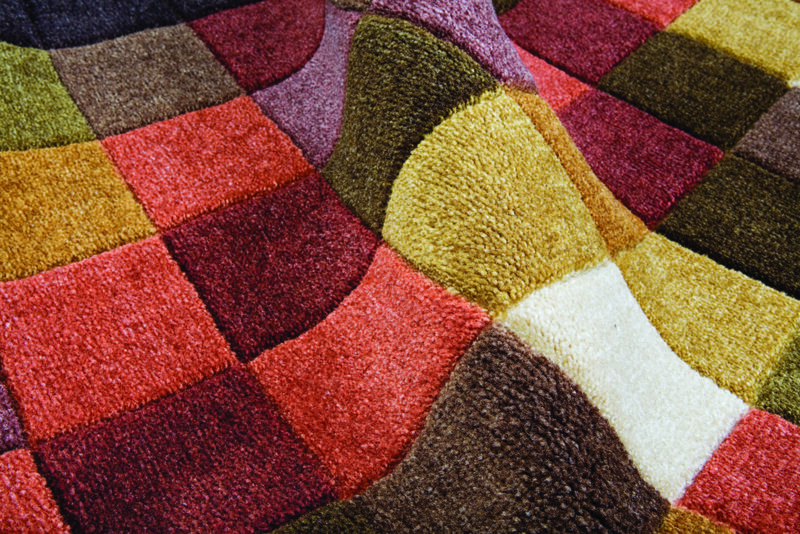 Thorough rug restoration is an important way to repair and preserve your valuable rugs. 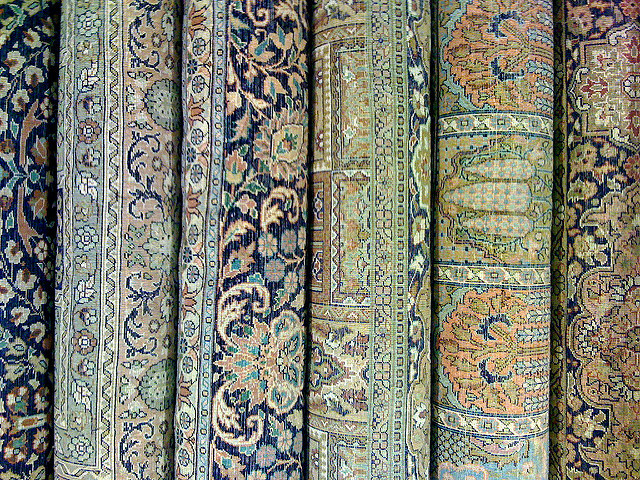 Restorations are done to clean, repair, and to help your rugs to last as long as they should. Here is a comprehensive list of the steps and processes we use when we restoring your rug. First, we remove dry soil particulates using compressed air. This is a safe and thorough technique for pre-cleaning your rug. The rug is treated with our percussion machine to remove fine dust and particles. This process loosens the surface dust from the rug fibers. Then, a wand tool will be used to drive compressed air through the fabric of the rug. This removes more deeply embedded dust and particles, which household vacuum cleaners are not able to remove. A professional hand washing treatment in a submersion bath guarantees you that your rug receives a thorough cleaning. The rug will be saturated with purified water before being treated with a wool-safe cleaning agent. Our specialized machines gently agitate the rug fibers removing dirt and grime. Then another application of compressed underwater air creates a Jacuzzi like action for gentle agitation. Contaminants such as mold, urine, mildew, old food particles and insect inhabitation can cause hard to remove odors. Natural fibers especially require a complete decontamination as they are much more prone to developing mold, mildew, and to attract insects. At this point, we can completely wash away remaining soils, and contaminants while our gentle cleaning agents work to achieve a level of cleanliness where drinkable water can now be passed through your rug. The knapp will then be brushed to preserve your rug’s softness during the drying process. The fringe, should your rug have one, will also be completely brushed out during rinsing. Drying must be done quickly and efficiently to avoid further contamination. This is achieved by using a special drying environment with a carefully controlled atmosphere. Your rug is then placed in our specialized dryer. The dryer is sprayed with clean water until all of our cleaning agents have been removed and the rinse water presents as clean and clear. A final spot cleaning will be performed to remove any remaining foreign matter or stains. Special care is taken to extract this foreign matter without damaging the fibers of the rug. Our highly skilled rug crafters will then meticulously re-weave any damaged portions of the rug. This is a painstaking process in which we take a great deal of pride.